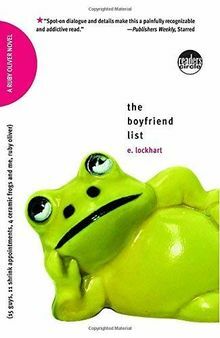 From E. Lockhart, author of the highly acclaimed, New York Times bestseller We Were Liars, which John Green called "utterly unforgettable," comes The Boyfriend List, the first book in the uproarious and heartwarming Ruby Oliver novels. and had graffiti written about her in the girls' bathroom (who knows what was in the boys'!?!). But don't worry-Ruby lives to tell the tale. And make more lists.